Oh, where does the time go? It seems only yesterday we brought Scribd home from the hospital and began feeding it formula. 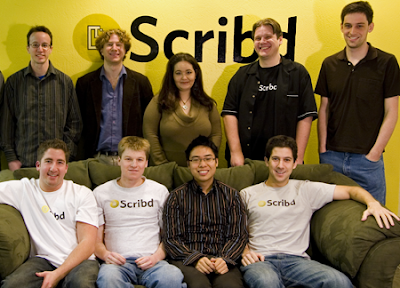 And now look how Scribd's grown! In just one year we've gone from a small Y Combinator project to one of the web's most popular websites - from 1 document to nearly 1,700,000. We couldn't have done it without our amazingly creative and diverse community, without whose enthusiasm we wouldn't be here. We have another exciting year ahead, filled with new innovations, new challenges, and yes - there will be documents.